The Hollywood Costumes Exhibition at ACMI (Federation Square) is on until Sunday 18 August 2013. 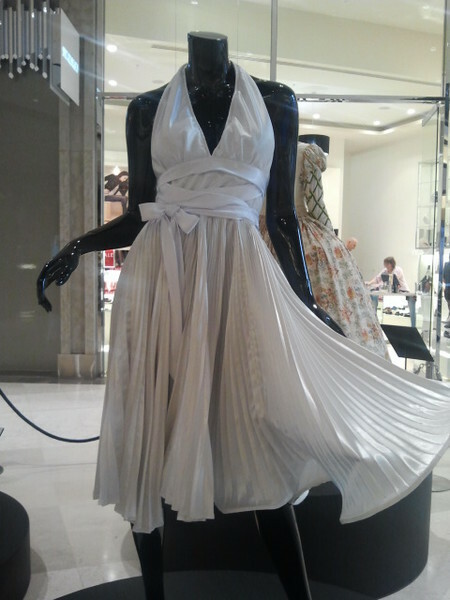 Three of these gorgeous costumes are on display in Westfield Fountaingate Plaze (Narre Warren). This costume is from the movie The Seven Year Itch (1955) and was worn by Marilyn Monroe who played the role of The Girl. The fabric used is Satin Backed Crepe.